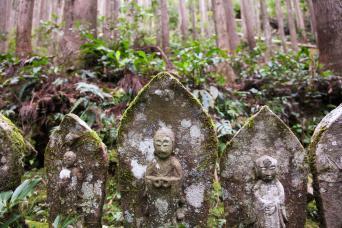 Soto is one of the three major Zen sects in Japan, handed down by Dougen. Soto is characterized by the style of meditation, called "shikan-ta-za" or "single-minded sitting." At Shorinji temple beside the Kumano River, you'll meet a monk who trained at Eiheiji temple, the main centre of the Soto sect. He'll explain Dougen's philosophy and lead you in a meditation session. This experience is ideal for those staying in Yunomine Onsen or Kawayu Onsen on the Kumano Kodo Trail. All our Self-Guided Kumano Kodo tours offer the opportunity to spend a leisurely second night in one of these hot-spring villages near the Grand Shrine at Hongu. Clients choosing the two-night stay can request this Experience for their intervening free day. We provide instructions on how to get to Shorinji temple, as well as explanations in English so you can make the most of the session.